Whatever type of kitchen wall cupboard you require, you should find just the right unit at Lark and Larks. We have a full range of kitchen wall units and cabinets available in custom sizes with a superb choice of finishes. 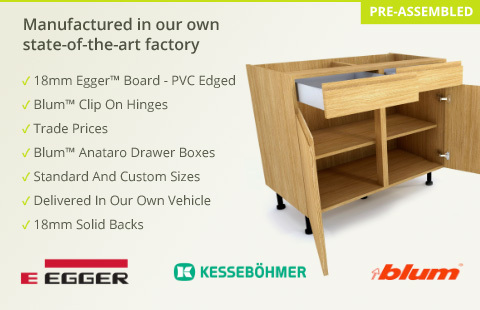 Our rigid wall cupboards are pre-assembled, with all kitchen units manufactured in the UK.